The show was simulcast with a sign language interpreter from the inception of STV (now RTVS) on their 2nd TV channel. From October 2013 the live simulcast is no longer there, but the interpreted version of the show can still be seen during late night and early morning repeats. 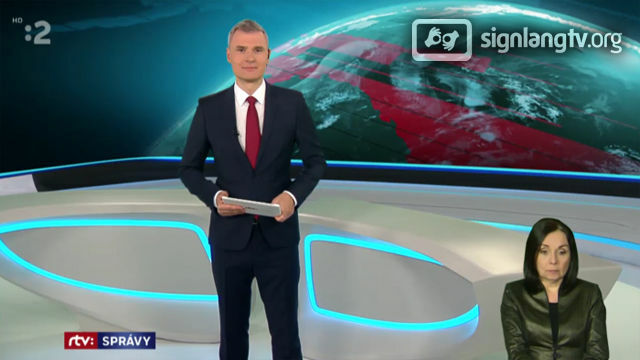 Also in October 2013 RTVS launched news presented by Deaf people.